Millions of people in the U.S. may be suffering from health problems caused by a condition (parasitic infection) of which they are completely unaware. These prob- lems are caused by parasites–something which is usually associated with people living in third world countries. A study published in “The American Journal of Tropical Medicine and Hygiene” revealed that 32% of a nationally representative sample of 2,896 people tested positive for parasites. Millions of people in the U.S. may be suffering from health problems caused by a condition (parasitic infection) of which they are completely unaware. These problems are caused by parasites--something which is usually associated with people living in third world countries. A study published in "The American Journal of Tropical Medicine and Hygiene" revealed that 32% of a nationally representative sample of 2,896 people tested positive for parasites. Because parasites emit toxins that can over work the liver and kidneys, the organs may become sluggish leading to weight gain, fatigue and irritability. Certain herbs have been shown to kill parasites in the body helping to reverse their ill effects. 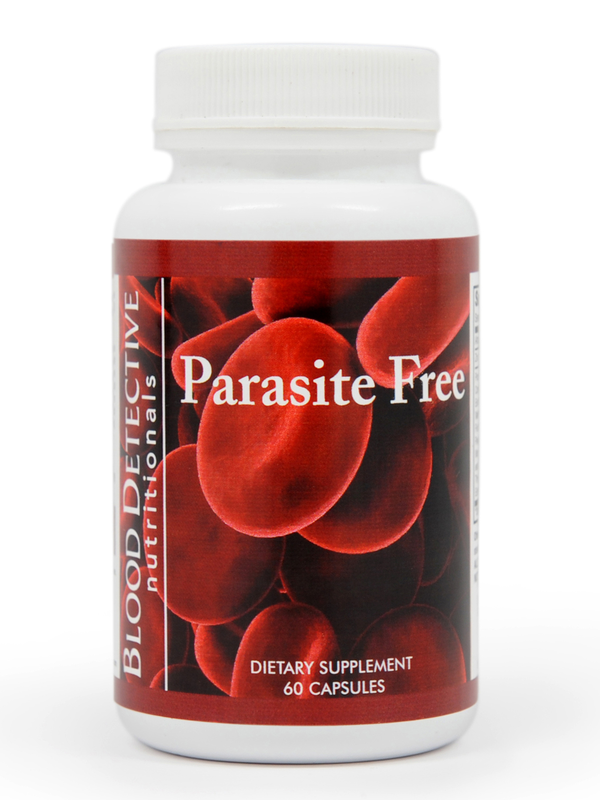 Parasite complex includes these key herbs and other important nutrients in a formulation that is one of the strongest available. The recommended dose is six capsules per day for ten days or longer. Symptoms caused by parasites can be extremely varied and may not involve the intestines (diarrhea) but rather, cause symptoms related to the organ(s) system affected. As an adjunctive support for traditional medical parasite treatment if approved by a licensed medical physician. Contains 5 mg of zinc (amino acid chelate) and a proprietary blend consisting of: Cranberry (11% extract), Garlic Extract (1.2% allicin), Apple Pectin Powder, Black Walnut Hull Powder, Carrot Juice Powder, Papaya Fruit Powder, Pau D’Arco Powder, Wood Betany Powder, Butternut Bark Powder, Cloves Powder, Wormwood Powder, Oregon Grape Root (10:1 extract), Blueberry Leaf (22% extract), Golden Thread (20% extract), Goldenseal 5% extract) and Echinacea Angustifolia Powder. As a dietary supplement, take two (2) capsules with food three (3) times daily for ten (10) days. Repeat in two to three weeks if necessary. Do not exceed recommended dose or use for a period of more than ten days. This product is not intended for pregnant or nursing mothers or children under 18 years of age. Individuals with a known medical condition should consult a physician before using this or any dietary supplement.